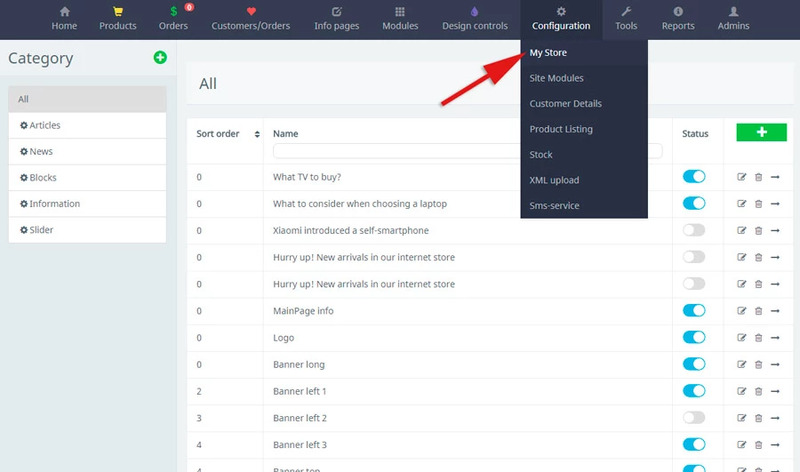 To start the online store you need to configure it. 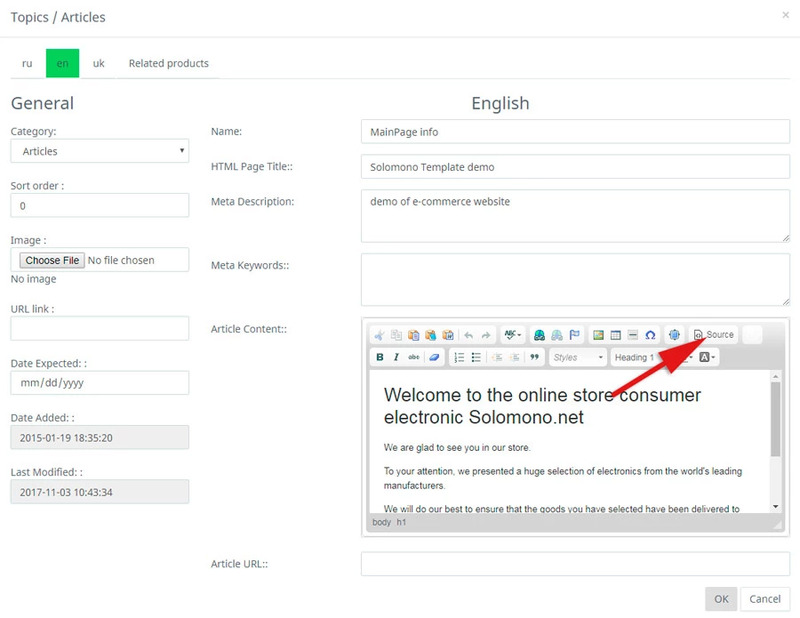 To do this, go to the admin panel, following the link received to your e-mail address when creating the store. Next, you enter your login, password and click on the green arrow. You are now logged into the admin panel. At the top of the page are links to different sections of the site. The first thing you need to do is fill the site with your data instead of test data. To do this, go to "Configuration / My Store"
Here you can change the name of the store, emails, region, some color of the site (link colors, texts and background), etc ..
To edit the selected title, click on its value, select the default name, enter the new data and click "save"
Next you need to enter your data - phones, work time, store address (if any), upload a logo (if any), etc. To do this, go to the "Content / Pages" menu and edit the necessary articles. Also, on this page, you can change or disable banners. To disable change the status from "Active" to "Not active", and to change it, click "Update". 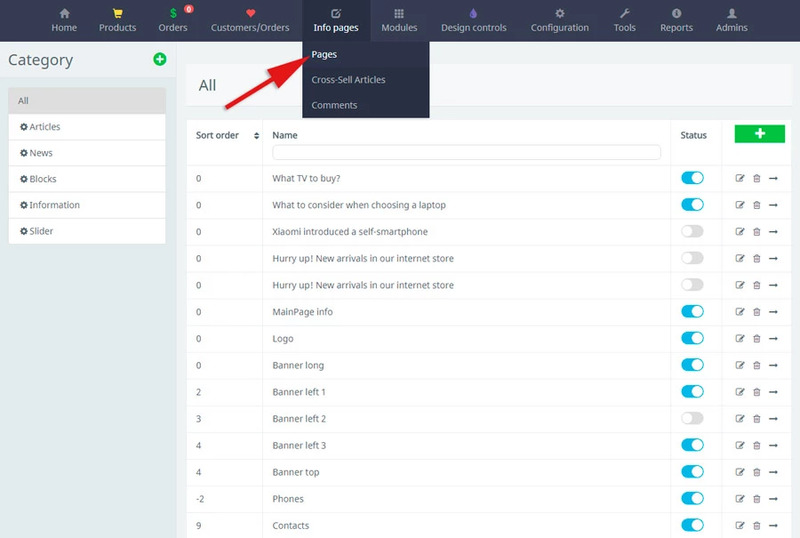 Particular attention on this page should be given to the article "Text on the main page" - here in the field Meta Description you need to enter the META tags for the main page your site and the "article text" which will be placed on the main page. 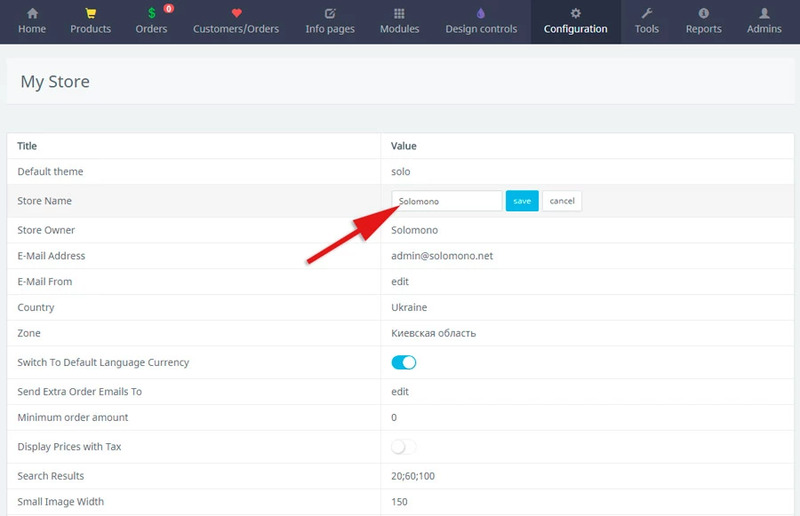 If you want to install a counter or change the data on your own in the script of an online consultant or social networks, go to the article editing page, select "Update", and then click the "Source" button - there you can change existing scripts or add your own. 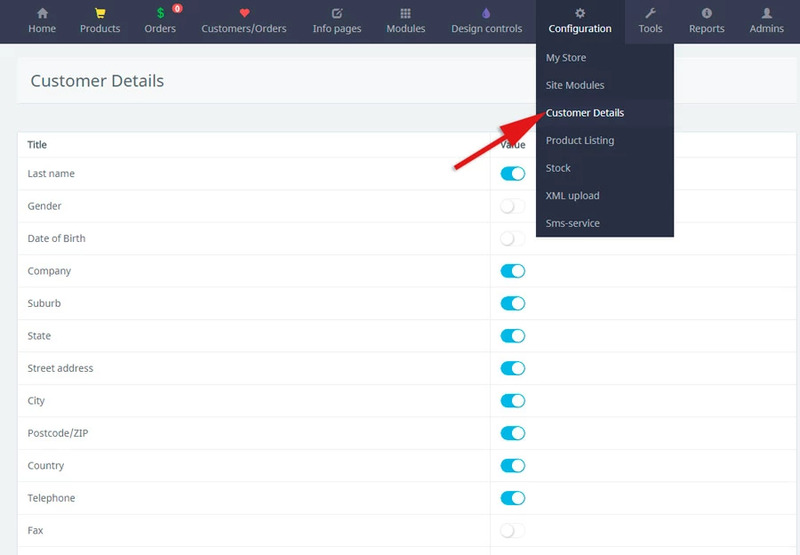 To edit the buyer's basic data in the top menu, select "Configuration / Customer Details"
"Customer Details" is used for registration and ordering, so you can choose what you need. Move the slider and the displayed information will be "active / not active". 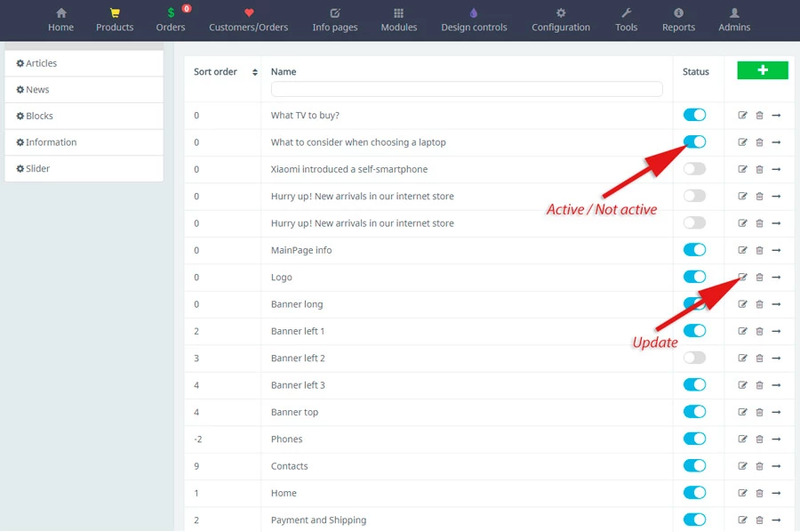 To edit the basic settings "Stock", in the top menu select "Configuration / Stock"
In the same way as in "customer details" you can make "active / not active" values, and in some headers put your data. Congratulations! Now your store is set up and ready for work.